20 individual sachets in an easy to use carry size box to fit in your bag or office drawer for people who want to take it wherever they go. 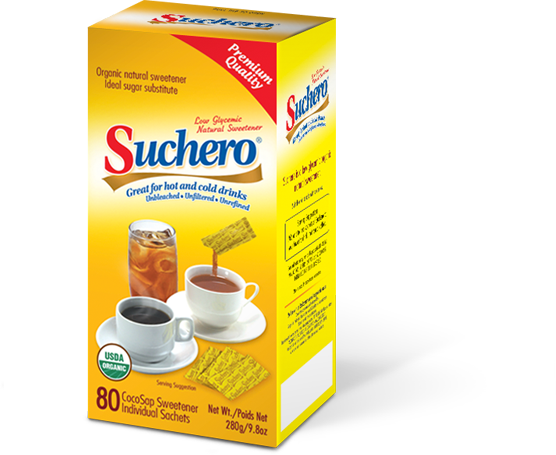 80 individual sachets to perk up your coffee, chocolate tea or cold drink to enjoy any time of the day. Your sweet companion all day long. 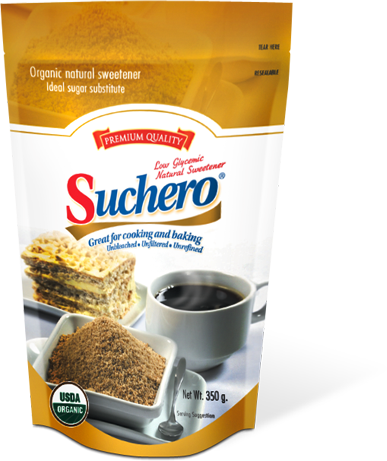 Suchero 350g pouch is for your cooking and baking needs. You can easily create mouth-watering cakes, pastries and dishes that are not only delicious but healthy, too. 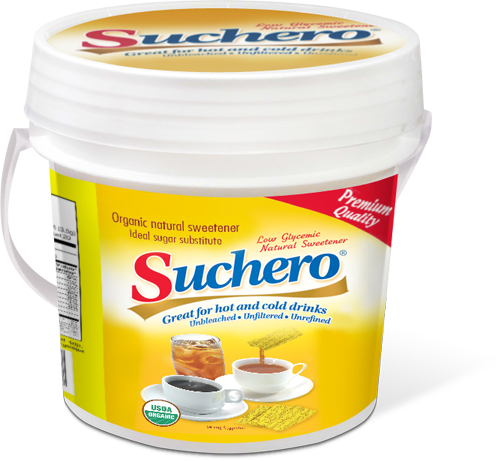 Suchero in a reusable 1kg Tub in your home kitchen, cafes and restaurants makes cooking and baking fun that creates healthy and delicious results. 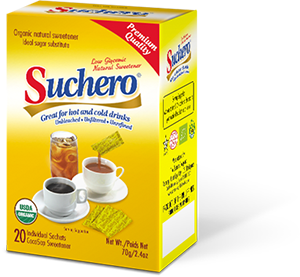 Suchero Institutional Pack for hotels, restaurants, and cafes. 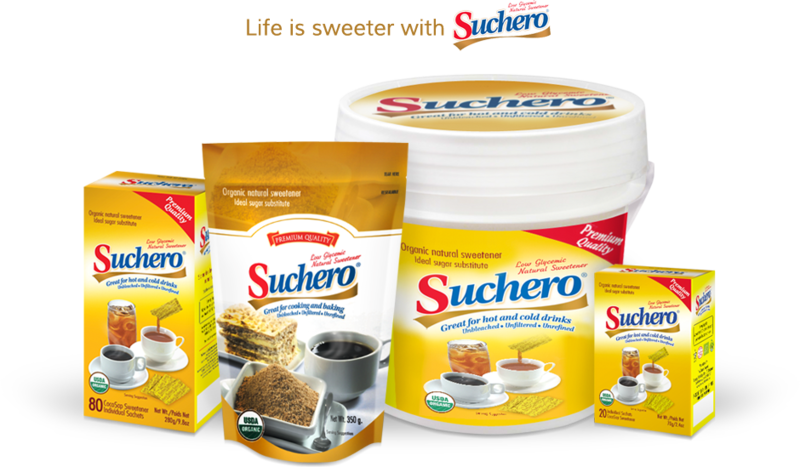 SUCHERO is a healthy, all-natural sweetener produced from carefully extracted organic coconut sap from the Philippine islands. © 2019 Suchero Sweetener. Website by Ink Elephant Design Studio.